A number of products are on the market that help start the cycling process in a tank. Some contain a quantity of the nitrosoma and nitrobacter bacteria which will help cycle your tank faster (some as fast as 1 day) than normal. Others contain enzymes which help naturally occurring bacteria grow more rapidly. Some products are added only at set up, others need to be replenished periodically. A concentrated bacteria that when added to the aquarium or filter chamber will initiate or strengthen the biological removal of ammonia and nitrate by beneficial bacterial strains. One teaspoon per 10 gallons weekly. Microbe-Lift Nite-Out II by Ecological Labs contains select strains of nitrosomonas, nitrobacter, and nitrospira eliminate ammonia and nitrite. This specialized bacterial additive rapidly breaks down nitrogen compounds. Anaerobic bacteria are utilized ​in such nitrate reducing devices such as plenums and Coil Denitrators. Nite-Out II establishes and maintains the necessary bacterial populations required to efficiently process toxic ammonia to nitrite and then to nitrate. This product contains patented and patent-pending live nitrifying bacteria that detoxify ammonia and nitrite. BIO-Spira accelerates the establishment of the bacteria necessary for successful biological filtration to prevent fish loss due to new tank syndrome. In just minutes after adding BIO-Spira to your saltwater aquarium, you can introduce your fish without exposure to dangerous levels of ammonia or nitrite. BIO-Spira can also be used after a water change, when adding new fish, or after medicating your saltwater aquarium. The new shelf-stable formula requires no refrigeration. Tropical Science Biolabs Nitromax Marine is a maximum-density blend containing over 20 billion nitrosomonas and nitrobacter bacteria to rapidly reduce ammonia and nitrite levels. This two-part solution contains high-density nitrifying bacteria and an oxygenating bacteria booster to dramatically increase efficient biological filtration. Patent-pending formulation keeps live nitrifying bacteria 100% viable for an additional 9 months after opening when kept refrigerated. Unlike many other bacterial additives, fish can be added immediately after use. Eliminates new tank syndrome, instantly creates a biofilter and naturally removes toxic ammonia and nitrite. Use when setting up a new aquarium, or after water changes and disease, treatments to quickly establish a natural biological filter. You cannot overdose with this product—use the entire bottle to treat the aquarium. Keep refrigerated for longer life. 2 oz treats up to 30 gallons. 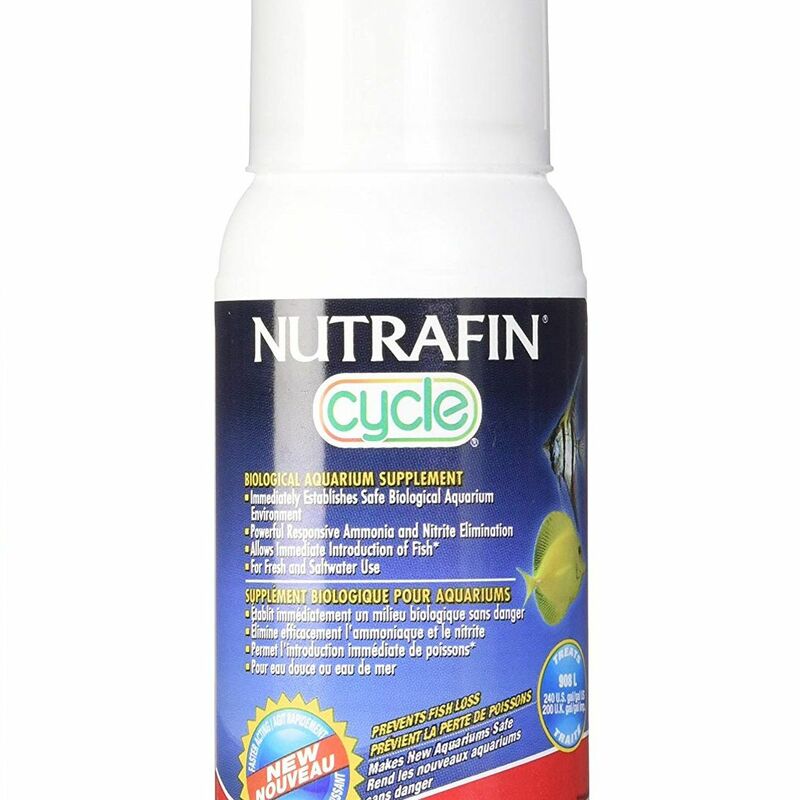 This convenient water treatment liquid immediately starts the nitrogen cycle in your aquarium, limits toxic ammonia and nitrite in aquarium water, and helps prevent fish loss. Use Quick Start in established aquariums to help maintain an active biological filter. Quick Start bacterial additive has an extremely long shelf life and requires no refrigeration. For freshwater and saltwater use. Easy-Life EasyStart contains highly-active beneficial bacteria cultures which boost the natural nitrifying bacteria to help break down fish waste in your aquarium. EasyStart also removes heavy metals and other chemical pollutants. 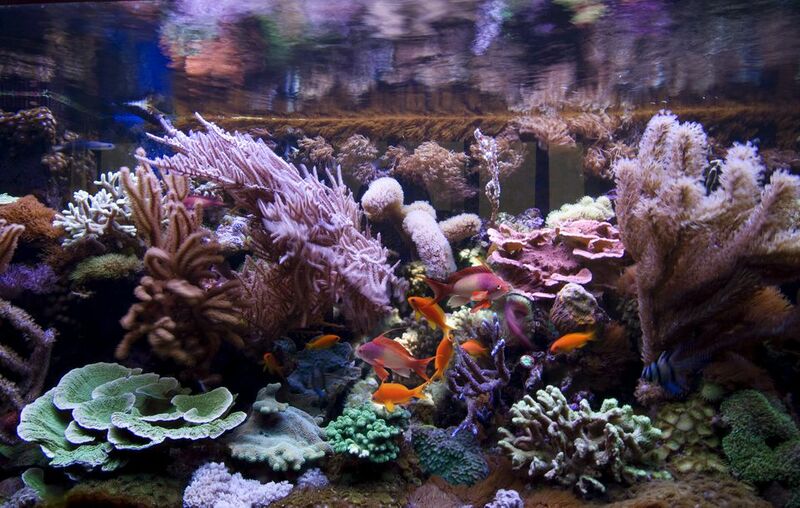 The accelerated increase in beneficial bacterial also competes with harmful bacteria present in aquarium water.